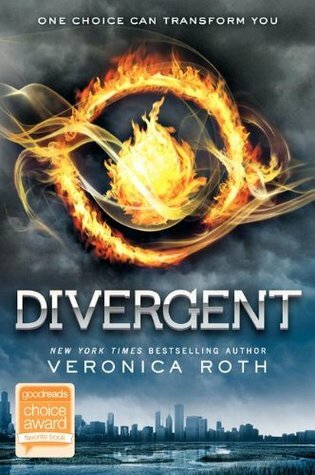 Blurb From Goodreads:In Beatrice Prior’s dystopian Chicago world, society is divided into five factions, each dedicated to the cultivation of a particular virtue–Candor (the honest), Abnegation (the selfless), Dauntless (the brave), Amity (the peaceful), and Erudite (the intelligent). On an appointed day of every year, all sixteen-year-olds must select the faction to which they will devote the rest of their lives. For Beatrice, the decision is between staying with her family and being who she really is–she can’t have both. So she makes a choice that surprises everyone, including herself. Why Read: For the first time in a month or so, I found myself reading a book based on a recommendation and quick lent copy from a friend. As we discussed new movies coming out, she mentioned Divergent – something I hadn’t read, as I hadn’t enjoyed the Hunger Games quite as much as everyone else. But surprisingly – it wasn’t bad. Review: I had my reservations; I won’t lie. I’m not usually the biggest fan of Young Adult Dystopian any more, not just because of the Hunger Games – but in general, the genre has stopped speaking to me. So naturally I was hesitant but figured since the first book was rather short: What was the worst thing that could happen I did read it? Character-wise, I always have complaints about the main character when it comes to dystopian books where there isn’t as much emotion depicted. Divergent exceeded my expectations in that regard, but not by much. Beatrice or Tris, the main, did show emotions like fear and confusion – but at the end of the day, it did bother me that she didn’t act her age. I couldn’t imagine a 16-year-old taking the actions, which Tris took. I did actually enjoy the book, despite that. Plotwise, it was something fun that’s out of my usual range. The different depictions of dystopian society are such that each and every one, to me, shows the different facets of society that could be exploited in the future. In Fahrenheit 451, it was thought and expression; in the Hunger Games, it was power and competition; for Divergent – it was choice. I like the idea of figuring out what would happen if choice was taken from us, the idea of a free choice. Ultimately though, I will not go out of my way to read the sequel, which to me – says something about the book as a whole. If I’m not willing to seek out more knowledge about the story, then I can’t justify giving it a higher rating.